A mentally-ill man assaulted his 80-year-old mother during an horrific attack after they had a lengthy argument about his state of health. 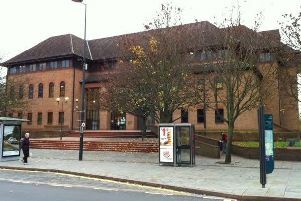 Chesterfield magistrates’ court heard on Wednesday, July 6, how Steven Bown, 56, of Woodlands, Brimington, Chesterfield, twice grabbed his mother Dawn Bown around the throat with his hands until she thought she was going to pass out. Prosecuting solicitor Sarah Haslam said: “The defendant has developed schizophrenia and his mother has been trying to help him with his problems. “He returned home saying he was not a well man and she said go to the doctor and they started arguing and the defendant said his mum didn’t care and this went on for a couple of hours. “She was sat in a chair and he stood up and put his hands around her throat and squeezed. She was frightened and thought she was going to pass out. Bown, who has previously assaulted his mother twice, according to the court, pleaded guilty to assaulting her on May 29. The probation service stated that Bown struggles to manage his emotions and he has other under-lying issues alongside his mental health concerns. Magistrates sentenced Bown to a six-month community order with a Rehabilitation Activity Requirement for 12 days. He was fined £50 and must pay £85 costs and an £85 victim surcharge. Bown was given a 12 month restraining order not to contact Dawn Bown.